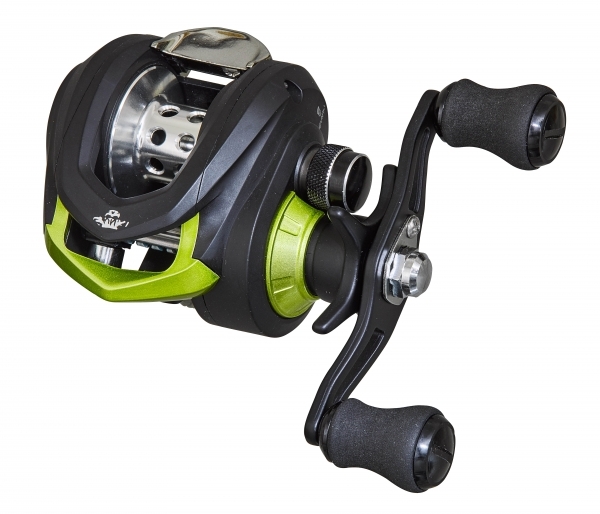 Gunki BC 200 ITC Reel is a great value for money reel that comes with a Dual Brake System spool as standard. This system uses magnetic and centrifugal braking to control casting which gives very smooth and reliable precise casting performance. The BC 200 ITC has a multi-disk progressive combat drag rated to 5kg and the smooth line retrieve of 69cm per full turn thanks to the magnetic double control casting drag, magnetic and centrifuge for zero friction which the Anti-backlash spool and its Easy Grip EVA handle topped off in GUNKI colours, this modern low profile reel is the perfect partner or our Yurai or Iron-T Bait Casting Rods.